If Eskom CEO Brian Molefe’s recent responses to energy policy and investment decisions are anything to go by, it looks as though the utility is having deep trouble keeping up with times and staying relevant. 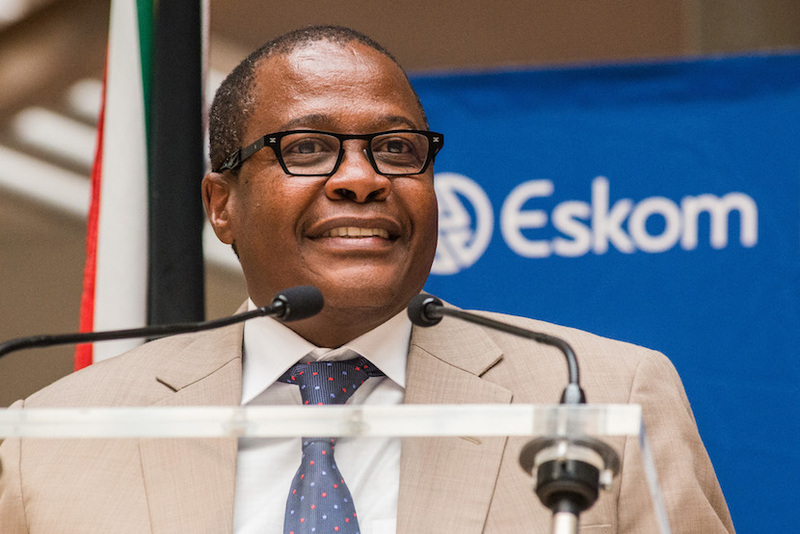 In the past month alone, a vitriolic Molefe has attacked the Renewable Energy Independent Power Producer Programme (REIPPP) and refused to sign a power purchase agreement with a provider. The Presidency had to eventually come out with a Statement this week to calm all quarters that the REIPPP is in fact policy and won’t be halted. Molefe then lashed out against the country’s largest asset manager, Futuregrowth, for its decision to stop financing coal. Futuregrowth appears to have since been silenced by Molefe’s bombardment of scathing personal attacks against its CIO Andrew Canter. At a Parliamentary Select Committee hearing last week, Molefe made derogatory comments about Canter. Eskom should be concerned about its tarnished credit ratings, particularly after rating’s agency Moody’s responses. But there is a bigger concern for Eskom; the utility’s direct and central role in the provision of electricity could be rolled back. Moreover, it relates to a broader crisis that utilities are facing throughout the world. As the case of the Europe starkly demonstrates, the age of the utility might be coming to an end unless they are willing to change. With renewables coming in to vogue, more off grid and community controlled options are available which eschew the job of the utility to produce, manage, and distribute electricity. Community cooperatives are producing electricity for themselves and often selling the additional amounts to municipalities. Middle class folks put up a solar PV and sell back the extra electricity to the grid. In other words, our conventional understanding of the role of the utility as the provider of electricity is changing. Eskom abandoned nuclear procurement in 2008 as bids were too expensive. Nuclear costs have increased since then so why's Eskom keen again? When South Africa hit the power outrage crisis last year, the middle class and small to medium size businesses were forced to think about buying expensive (and unsubsidised) solar panels; they wanted to be insulated from the risks posed by loadshedding. It was between this option or relying on expensive diesel generators to power up. The REIPPP has also delivered in far less time than it takes to construct a coal plant and at a far more cost effective rate. The figures are now common knowledge: solar costs have dropped by 75% to 91c, and by wind 50% to 75c/kwh. The estimated cost of electricity from the 4800MW Medupi coal plant, which only has one out of six units being functional and ballooning construction costs, is at R1/kWh. The other part of this shift relates to economic predictions about what’s been called ‘stranded assets’. Climate change is the most urgent crisis of our time, and with a global temperature limit set to 1.5 degrees at the climate negotiations in Paris late last year, the world is waking up to the folly of continued fossil fuel use. A latest report by Oilchange in collaboration with 14 other organisations, indicates that zero fossil fuels should be dug up to give us a reasonable chance of keeping to 1.5 degrees. This is preceded by a much earlier reading of things by the International Energy Agency that if all 1200 coal plants in the pipeline in 2012 were constructed we would be on track for a six degrees Celsius increase in temperatures, a prospect tantamount to climate catastrophe. With South Africa sitting on one of the five biggest coal reserves in the world the choice is whether to blow it all up or save the planet. Prudent decisions are now going the way of limiting funding of coal projects because there will be no country in the future which will buy coal. Coal fired power stations last for 40-60 years also face the realistic prospect of being mothballed. The advice is therefore caution against continued faith in coal, because the assets will not be worth anything in the future, hence stranded assets. The success of the divestment movement globally, which is marked by numerous country, financial institution, and other coal bans, is also testament to this growing realisation that investing in coal is a colossally, planet wrecking bad decision. Viewed in this way, Futuregrowth’s decision not to fund coal does indeed help it to stand on the right side of history, and also makes good financial sense. Hopefully, their bold move provides a signal to other financiers of coal in South Africa, such as private banks Standard Bank and Nedbank, to show leadership and move in the same direction. What Eskom’s Molefe should be applying himself to now is how to transform the utility to meet progressive global energy trends and change its identity. Eskom today signed a $500m credit facility with the China Development Bank, the facility will contribute towards Eskom’s current capital expenditure programme, and also towards stabilising the company’s liquidity position. The successful execution of this credit facility increases the funding secured for financial year 2016/17 to R51 billion, meaning we have secured 75% of our R69 billion funding requirement. We look forward to concluding the remaining facility agreements of the total US$5 billion currently under negotiation with the China Development Bank. Contrary to recent media reports, Eskom has not decided to put on hold any renewable energy contracts. On the contrary, we have signed power purchase agreements with all successful bidders and we’re committed to sign all the remaining contracts under the current bid window 4.5 of the Department of Energy (DoE). All that Eskom has done was to write a letter to the DoE asking for clarity or a dialogue regarding the next contracting phase of independent power producers (IPPs) beyond bid window 4.5. That does not mean that a decision has been taken to abandon the IPPs. Eskom supports the role that the IPPs play in the South African electricity market and remain committed to facilitating their entry. We continue to deliver on our commitment to environmental sustainability and reducing our carbon footprint with purchases of renewable energy from IPPs. To this end, in the 2015/16 financial year Eskom spent R15.4 billion on procuring power from the IPPs, up from R9.5 billion in the 2014/15 financial year. The Department of Energy launched the Renewable Energy Independent Power Producer Procurement Programme (RE-IPPP) in 2011, which called for 3 725MW of renewable energy technologies. Capacity under existing signed agreements is expected to be in commercial operation by the end of 2018. Eskom concluded power purchase agreements (PPAs) with successful bidders. We have received assurance from the National Energy Regulator of South Africa (Nersa) that these PPA costs will be treated as a pass-through for revenue regulation purposes. Moreover, most of the short- and medium-term IPP contracts that were due to expire at the end of March 2016 have been renewed for another two years. To date, we have contracted for 3 901MW of renewable IPP capacity (March 2015: 3 887MW), while RE-IPPP capacity of 2 145MW (March 2015: 1 795MW) has been connected to the grid. Renewable IPPs achieved an average load factor of 30.7% during the year (March 2015: 30.9%), while the weighted average cost amounted to 171c/kWh (March 2015: 217c/kWh). The energy policy, regulation, planning & execution chaos within & between Cabinet, DoE, DPE, Treasury, NERSA & @Eskom_SA is spectacular. We expect 1 030MW from the RE-IPPP Programme to be commissioned during 2016/17, including 504MW wind, 510MW solar PV, 4MW hydro and 11MW landfill. Under the DoE gas peaker programme, the 670MW from Avon came into commercial operation last week. Furthermore, the contracts awarded under bid windows 3.5, 4 and 4.5 are expected to be concluded during 2016/17 (as well as the remaining 16MW contract under bid window 3), together with the co-generation programme. It is encouraging to see that successive bid windows of the RE-IPP Programme have seen reductions in the cost of renewable energy, such that it is now competitive compared to the cost of new coal-fired generation. Eskom has established and funded a Centre of Renewables Technologies at Stellenbosch University. We’ve also committed over R280m in research and innovation on both nuclear and renewables in partnership with 8 universities. This has been undertaken under the auspices of the Eskom Power Plant Engineering Institute that was established in 2012. The objective of this Engineering Institute is to effectively create a brain trust that will consider various technologies like renewables and nuclear so that these debates are resolved in a dispassionate manner. Eskom is also investing in renewable energy for both commercial and internal consumption purposes. Our 100MW Sere Wind Farm in the Western Cape is in commercial operation, and continues to add capacity to the grid, while diversifying our energy mix. We have been also been granted environmental authorisation for the establishment of the 300MW Kleinzee Wind Farm – which is proposed to comprise a cluster of up to 200 wind turbines – and associated infrastructure on a site approximately 6km south of the mining town of Kleinzee in the Nama Khoi Local Municipality in the Northern Cape. Additional prospective wind farm sites have been identified in the Western and Eastern Cape regions. These are undergoing further investigation to verify resource availability and levelised cost of energy estimations. Eskom has various programmes that became operational in the past year, and several others that are in the pipeline for the coming year under our solar PV programme at existing administration buildings and power stations. A 435MW of solar PV for self-consumption has been earmarked for roll-out at Eskom-owned sites pending funding allocation. Eskom is also investigating the feasibility of deploying solar PV for grid strengthening in constrained areas and exploring steam augmentation by means of solar technology to offset coal usage at conventional coal-fired power stations. Eskom further acknowledges the role of smaller scale renewable technologies in the rapidly emerging distributed generation market and is considering a number of options within this space to ensure the delivery of reliable, affordable energy solutions that will support the energy landscape of the future.